Richard started in films but went on to teach film and video at universities and colleges, and to act as director and consultant on documentaries and drama in Europe, USA and the Caribbean. He directed Farewell Miss Julie Logan by Rose MacLennan Craig, which ran to full houses at Greyfriars Kirk House during the Edinburgh Fringe, 2005, and later toured in Scotland. In November 2006 he co-wrote and directed Violet Jacob's Voices of Angus, which filled houses for the National Trust at the House of Dun. 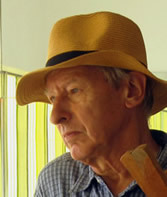 In 2005 he directed Only Some can take the Strain from Possibilities by Howard Barker at the Morley College acting degree show, which also included Richard's short play, Evelyn Three. There was a reading of his play, The Jewish Mosque with Napoleon Ryan and Katy Darby in June 2003 at Player-Playwrights in central London. This play has had a new reading with the New Works Company, London in April 2009, with a new cast and director. A new rehearsed reading directed by Sebastian Rex will be at Samuel French Bookshop, 52 Fitzroy Street, London, W1T 5JR at &:30 pm on Thursday 24th July, 2014. Admission Free. He also directed a production in the Crown Court Church, Covent Garden, London of Painting with Light by Scilla Fernandez and Ros Cornford in April 2010. There have been several other private readings of Richard's plays. He wrote and performed part of an open air community show built around well known fairy stories and performed in Bonnington Square Gardens, summer 2006. He directed studio performance of How to be Happy by Bonnington member Sue Blundell in America, October 2007. In July 2007 his play Choosing formed part of the Bonnington Playwrights production, The Quite Peculiar and Irresistible Charm of Ellen Terry, which played to packed houses in the medieval Barn Theatre at Smallhythe Place in Kent, and was revived in October 2009 at the Actor's Church, Covent Garden, in a new production directed by Rob McIndoe. His play with Rose MacLennan Craig, The Mythmakers, an Unexpected Frienship, has had a rehearsed reading in the Mendocino Art Center, Northern California, in November 2009, where it was received with enthusiasm and also played to the descendants of Capt Scott’s last expedition at the Polar Research Institute in Cambridge, in June 2010. It had a public reading in North Berwick, Scotland in September, 2010, and had a successful run in London's West End in March 2012. It was chosen for Fringe NYC in 2013, and ran with great success in the Teatro Latea on the Lower East Side, New York. 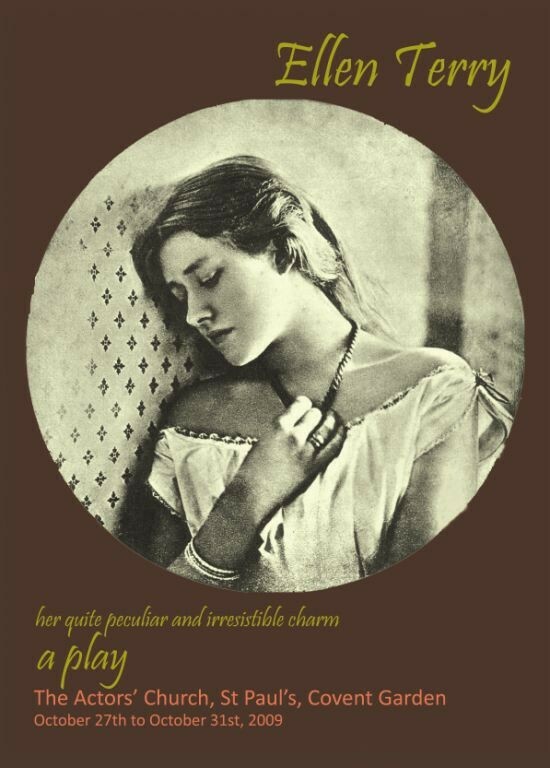 He has adapted this play for radio with Rose MacLennan Craig . 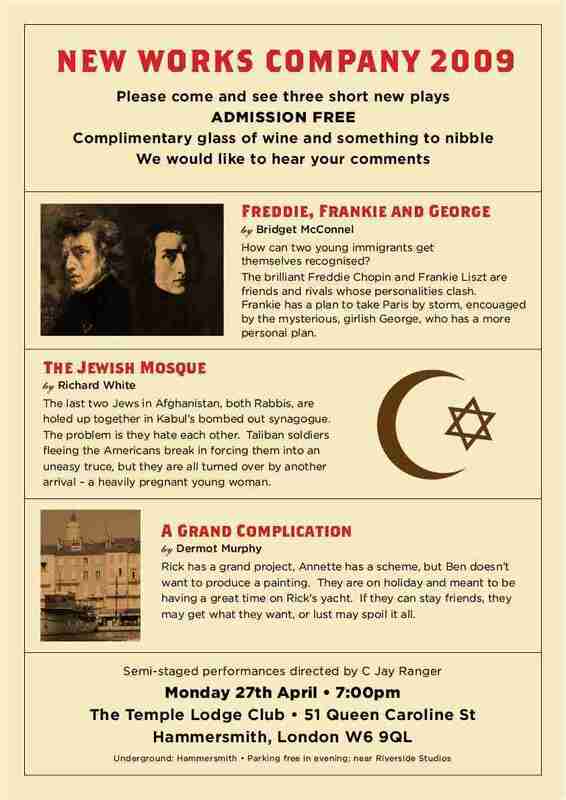 One of Richard's plays, The Jewish Mosque, was given a rehearsed reading at Samuel French's bookshop, Central London, in July 2014, with Maynard Morse, Michael Gabe, and Natalie Cole, directed by Sebastian Rex. The Last 2 Jews in Afghanistan, both rabbis, are holed up together in a bombed out synagogue in Kabul. The problem is they hate each other. Taliban soldiers fleeing the Americans, break in, forcing them into an uneasy truce, but they are all turned over by another arrival, a heavily pregnant young woman. Could this turn old enemies into friends? Richard is also a member of the Bonnington Playwrights and Actors and Writers, London.